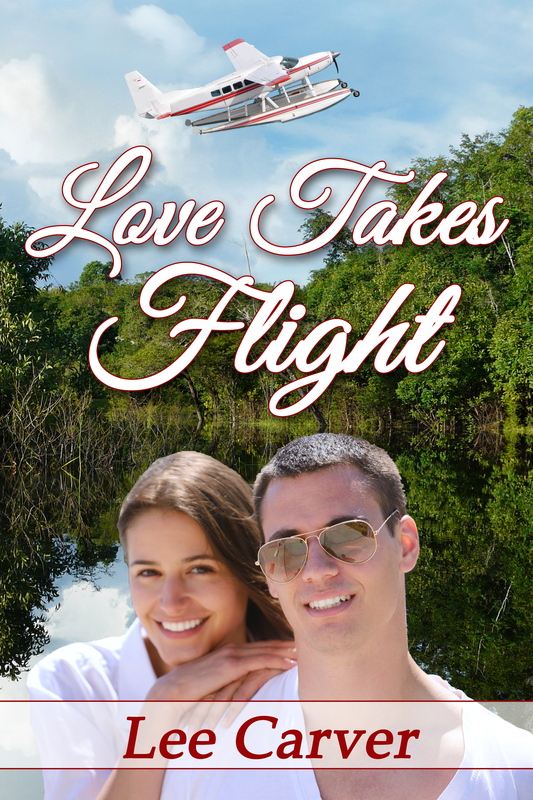 Love Takes Flight is the latest novel by Lee Carver. Her first offering was a historical World War II novel called A Secret Life. This story, while contemporary romance is no less filled with adventure! Camille Ringold is an American nurse whose dream of marrying a doctor and living a fine life in the suburbs is destroyed. To escape the shame and give herself time to heal she volunteers to serve for two weeks in the Amazon. She is forced to face the harsh reality of life in the jungle and the desperation of the lost souls she learns to love. On a mission of mercy the Wings of Hope plane is hijacked and she and missionary pilot Luke Strong barely make it away alive but have to survive in the jungle. Luke has been a challenge for her, a woman used to finer things and afraid of flying. But his faith compels her to dig deeper within to seek God’s leading. Her heart plays tug of war with the growing attraction to the handsome pilot and her struggle to give up on the more comfortable life she temporarily has left behind. Returning home she is confronted with the persistent pursuit of the rejected lying doctor and she discovers that the dangers of the Amazon are nothing compared to what was waiting for her at home from this man. Does she have the faith to risk it all for love? Is that even what God is asking of her or is it another escape? And as much as she adores Luke Strong, would he ever consider her as a possible partner in ministry and life? This is a fast paced book filled with adventure and a realistic look at the hardship faced by those who serve indigenous people groups who desperately need to hear the gospel. I loved the way Camille’s struggles are portrayed. No idealistic dreams of saving the world but the reality of just how much sacrifice is involved is told with brutal clarity. Luke Strong is not a perfect hero either but is steadfast and lives up to his name as he protects and guides Camille . . . only to find him being saved by her dedication. I loved this story and highly recommend it. Lee Carver is a master story-teller with an eye to detail that will make you feel like you are right there with the characters.